Scitech could find its new home in the city. Picture: supplied. Scitech could find its new home in the same precinct as the State’s major galleries and a redeveloped WA Museum come 2023. 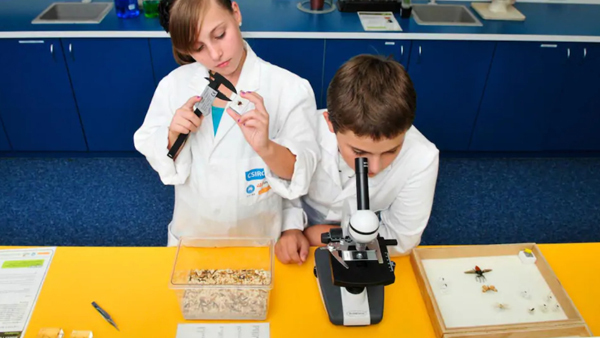 The State Government opened expressions of interest yesterday for proposals of where to build a state-of-the-art science centre for Scitech to relocate to within the Perth city centre. Interested parties have been encouraged to come up with concepts on commercial and government land within the heart of the city but there was also a not-so-subtle hint letting applicants know proposals within the Perth Cultural Centre would be considered. Science Minister Dave Kelly was quick to stress the relocation would not be part of the museum refurbishment. “All other options will be considered on their merits,” he said. “A range of options will be considered including proposals for commercial leasing, developer-led construction and leasing or proposals that seek to build on government-owned land or refurbish an existing government-owned facility. It is understood there is spare government land within the precinct which could be used and adding Scitech would give the area a boost as the city’s cultural hub, with it already being home to the Art Gallery of WA, State Library, PICA and the museum. The wish list for the new facility includes a big lobby as the entry point to exhibitions and galleries, up to 300sqm of outdoor green space, a cafe, theatre, a domed planetarium, office space, workshop, loading dock and nearby bus bays. Scitech is looking to get a 15-year lease for its new facility and would need a new building to be ready in late 2022 before its existing lease expires the following year.